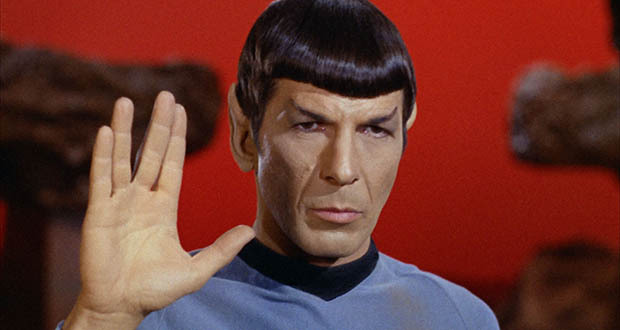 Actor Leonard Nimoy once gave a cab ride to John F. Kennedy. The future president told the aspiring actor, "Lots of competition in your business, just like in mine. Just remember there's always room for one more good one." Warning! The below summary is autogenerated by a custom alogrithm from the source given below. It is only guaranteed to be accurate 75% of the time. One particular story from that speech stuck with me: At 24, a then unknown Leonard Nimoy gave a cab ride to John F. Kennedy. The doorman, obviously taken aback by the Senator's youthful appearance, asked in disbelief, "Is he a Senator?" Leonard simply grinned and nodded. As Senator Kennedy settled back in his seat, Leonard asked how things were back home. "Well," recalls Leonard, "He lit up like a bulb and asked, 'Are you from Massachusetts?' I told him I was. He asked me what neighborhood I was from and I told him the street - Chambers Street. He knew the street. It was in an area called West End, which had since been torn down and redeveloped with high-rise apartment buildings." When JFK entered his cab it was he who was the object of Leonard's curiosity. It wasn't long before JFK established that the most interesting person in that cab, certainly from his point of view, was Leonard Nimoy. "Are you going to the Stevenson dinner?" Leonard asked. "What do you think his chances are of getting the nomination again?" Leonard asked. "When we got to the hotel," Leonard smiles, "Another interesting thing happened. He owed me $1.25. He stepped out of the cab and started to walk away without paying. By this time he'd been distracted. Somebody had come up to him and asked. 'Are you the Senator from Massachusetts?' He said he was and the man told him someone was waiting for him inside. Kennedy thanked him and started to walk away." Leonard has not been able to get over the way JFK shifted roles with him during that taxi ride and conveyed that he, Leonard, was as much an authority as his passenger; that his opinion carried as much weight as a United States Senator's.